Oh Heavenly and mighty Father, we give You thanks and praise for the privilege to participate in choosing those who would lead our country. You are Lord over us and our nation. We thank You for the opportunity that this elections year now puts before us. As we exercise our solemn duty to vote, guide and direct our minds and hearts, so that we do so with Godly wisdom and Your guidance. Lord, open the eyes of your people today, that we will realize that the politics of the land does not determine our salvation. In all things may we put You first and not allow division to take place. We pray for spiritual discernment even as we choose our leaders. Let us not be swayed by sweet words and gentle manners, but by an understanding of Your will for our lives. Let us choose leaders who will hear and honor Your word and Your people, so that we may continue to worship You in peace and with total freedom. Grant our leaders wisdom that they will seek out the advice those who follow in the footsteps of Your son Jesus Christ and are lead by the Holy Spirit. In Jesus Name we pray, Amen! Help us to put on the whole Armour of God and to remain covered in Christ moment by moment – knowing that it is our only protection and defense against the principalities and powers of darkness, that would seek to undermine our trust in God. Grant our protective angels warmth and courage as they take on the burdens of Satan’s success here on this easily forsaken planet and its people without you, Oh Mighty Father, to redeem us from fear of Sin,and Hate. AMEN. Rest Assured Evie, YAHWEH not ALLAH is in control and we believe in His Son Jesus Christ to set and keep us free, safe, warm at night. BUT we must be vigilant and keep Evil from our door through faith. AMEN. Thank you for these wise words Charles I will hold them close to heart. The day is here Dear Father and the last casting vote is of course Yours. Your will be done. I was going to post a prayer here, but then I was reminded that I should only pray to be seen of the Father, in secret. I will say this: The election process has been rigged for a lot longer than most of us have been breathing the breath of life. The luciferian occult worshipers of Satan have effectively dominated the world through means of the love of money and we are about to enter the greatest tribulation the world has ever seen. The only difference your vote will make shall indeed be a spiritual one. Whomsoever you subscribe your name in support of, ye shall indeed reap of that which ye have sown. Not one man or woman of God can vote with a clear conscious this time around, because the wickedness of both of these Satanic misleaders has been shown openly for all to know. My advice: Refrain from subscribing your name to any of the candidates and do not resist the evil that shall justly befall this nation and this world. let your hope be only in the Lord and not in any man. If you choose to vote for any of these actors, the spirits that have dominion in their lives will have dominion in yours as well. Render unto the Lord the things that are His. I attached links to source all of my statements. Moderation has been enabled, so, due to censorship, You might not be allowed to see them if the moderator of this “news” page does not want open source verifiable information to be published here, that might conflict with certain ideals or beliefs. But you have falsely accused me of lying, so I sourced my statements. Thank you in advance for your nobility in searching my statements out and apologizing to me for your frowardness. What! !…..In which way have I falsely accused you of lying! I posted only to you to thank you for your post because I agree with what you said. I did not check out your statements as no links are here, they just seemed sensible to me. 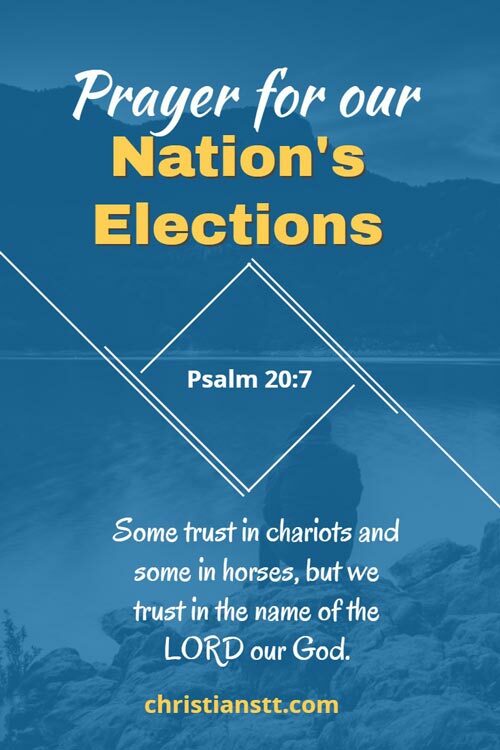 The Psalm I posted was directed at the two Election Candidates and not you. I was not forward and I did not apologize. If this is how you respond to friendly words I will not post to you again. Anytime a post has links on some sites, it goes into moderation and is pending approval. I am not sure if “Christian TT” will approve my linked post, but I linked a couple of videos that expose the brotherhood of darkness and Donald Trump’s lifelong connections to the top tier of the “pyramid” occult system that has dominion of this world. James Corbett and Stan Montieth are well sourced exposers of the beast. Again, sorry for my defensive and wrong statements. Please forgive me. I suppose I am so used to people being antagonistic to what I post, I read it wrong. I am sorry. I made a grievous and I do admit when I am wrong and I hope you do forgive me. I dyslexicly read your reply and thought you had said the opposite of what you actually did say. I am sorry. I really hope that you don’t hold it against me. Please. I guess that many people claim to know forgiveness, but when they cannot extend it to those that specifically take ownership of their own wrongful actions and repent unto those that hey have offended, they are just not being genuine. Jesus said If ye forgive not men their trespasses against you, neither will your Father in heaven forgive you your trespasses. Digital disconnectedness is easier to dismiss people, isn’t it? Just block those that you hate. It’s easier. Good Evening Nochip, once again you give me no time to pray about forgiveness before you call me out on it. I do forgive you as that is what Jesus always did and it was an easy mistake for you to make, but I wanted to spend a few days in prayer before I wrote you anything. Our family had a death last night and I got nothing posted to you. Forgive me. Father, we seek Your face this day.We ask that You would bless our country with Your Wisdom, Your Love, and Your Compassion as the day of the Presidential Election approaches. We face a very difficult choice between the two Candidates who wish to be leader of this Nation,the next President should be honorable,virtuous,and deserved of this title. Please Lord let us allow our love of country and patriotism to rise up in us and be dedicated to You as we pray. Please look into our hearts and steer us in the right direction to make the right choice to elect the next President of the USA. Many, many people believe Father that You have turned Your back on this great Nation because of its actions and hurts directed against You. Forgive us Lord God if this be the case and do not turn Your Holy face from us,as a Nation without You is no Nation at all.. Joining you in prayer, AMEN!